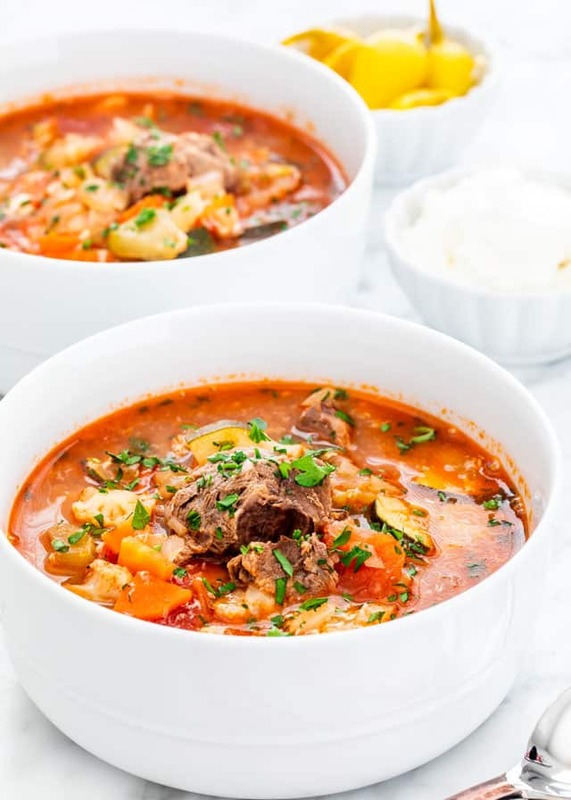 This Vegetable Beef Soup is a hearty combination of beef and lots of vegetables. 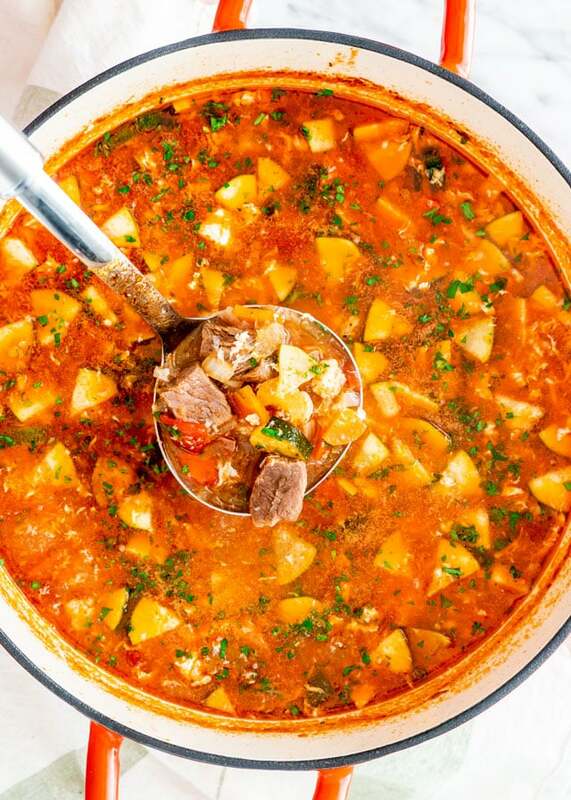 Perfect for a cold winter night, this soup is comforting, healthy and totally delicious! This is a soup I grew up and one that I make often. It’s a very traditional Romanian beef soup. We call this sort of soup “ciorba” and it is a sour soup made with beef and lots of vegetables. Usually these soups are made sour with lemon juice or vinegar. It’s one of our favorite soups that we make quite often. It’s actually served as a meal because of how hearty it is. We usually serve it with sour cream, lots of pickled peppers and crusty bread. It’s so filling and satisfying, you’ll love it if you try it. 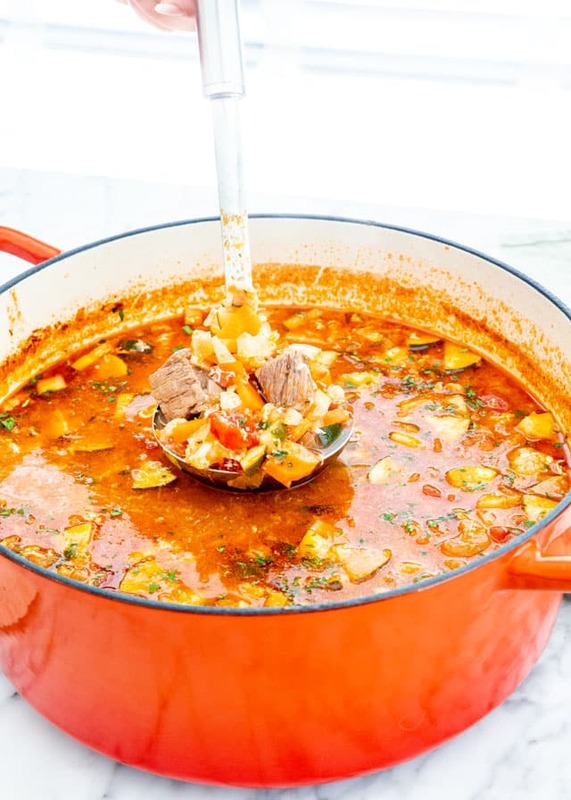 The secret to this soup is cooking the beef for a very long time, until it’s tender and it simply melts in your mouth. I usually start by boiling the beef in water, this way you don’t need to use store bought broth, you simply make your own. When the water comes to a boil, make sure you skim off all the impurities from the top of the broth. This will ensure your broth will be nice and clear and not cloudy and murky. You’ll notice that I used an Instant Pot to speed up the cooking process of the beef, so it’s up to you what you use. In a Dutch oven start by sautéing the onion, carrots, and celery until soft and translucent. Add in the tomato paste, diced tomatoes, salt, pepper and beef bouillon. Personally I prefer to use vegeta which is basically a stock powder with flavor enhancers, spices and various vegetables. Add your vegetables, the beef and beef broth and simmer it for another 30 minutes or so. Next, add the zucchini, lemon juice and cook for another 10 minutes or until the zucchini is softened. Add the egg to the soup and stir. Taste for seasoning and adjust if needed. Garnish with parsley and serve. Turn your Instant Pot on to the saute mode and heat the oil first. Add the beef and sear on all sides for about 5 minutes per side. Next, add the onion, carrots and celery and saute for another 5 minutes until the vegetables are soft. 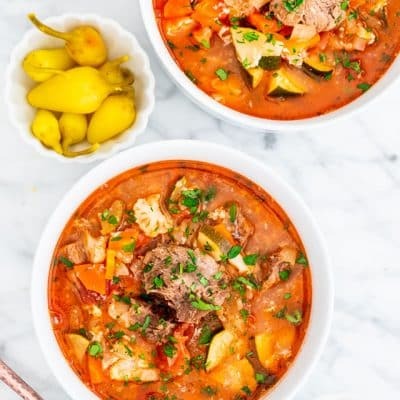 Add in the rest of the ingredients, except the zucchini, lemon juice and egg to the instant pot, put the lid on and cook for 20 minutes on the meat or manual setting. Once the Instant Pot cycle is complete, wait until the natural release cycle is complete, should take about 10 minutes. Add the zucchini to the soup and the lemon juice. Set the Instant Pot to the saute setting again and cook for another 10 minutes until the zucchini has softened. 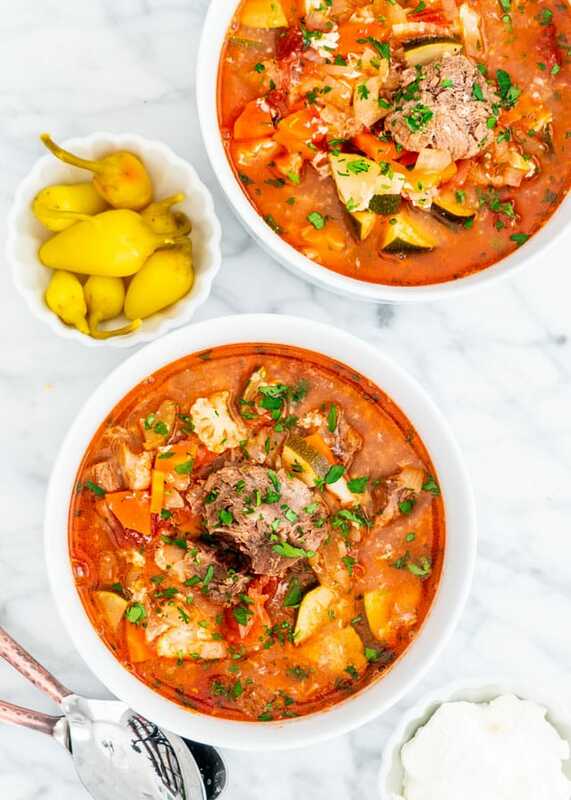 Making this soup in a crockpot is so easy. The easiest way to do is add all the ingredients, except the zucchini, lemon juice and egg to a crockpot and cook it on low for 8 hours or high for 4 hours. Then simply add in the zucchini and lemon juice and cook it for low for another 20 minutes. Add in the egg and it’s ready for serving. Another thing you can do if you have time is to brown the beef first in a cast iron skillet over medium high heat, with a bit of oil. Sear it on all sides, about 5 minutes per side, then add it to the crockpot. Taste for seasoning and adjust if needed. Garnish with parsley and serve. 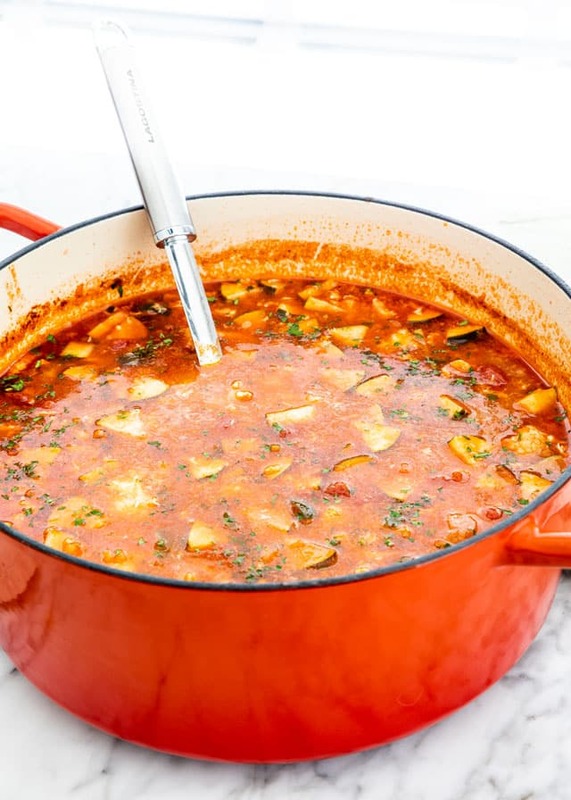 This soup is extremely versatile. I love to add potatoes to it as well instead of the cauliflower. Other vegetables to add can be peas, bell peppers, broccoli, or cabbage. You can also add green beans or corn. The sky is the limit! You can also add rice or noodles to it and make it even more heartier. If adding rice, add about 1/2 cup of uncooked rice. If adding noodles add about 1 cup of uncooked noodles. Best way to store leftovers would be in an airtight container in the fridge. It will last for 3 to 4 days in the refrigerator. To reheat, you can either reheat it in a soup pot on the the stove or reheat it in the microwave in a microwavable dish. You can absolutely freeze this soup. Cool the soup completely then store it in an airtight container or heavy-duty freezer bags. Store it in the freezer for 3 to 4 months. Thaw out overnight in the refrigerate then reheat in a soup pot on the stove, or microwave it in a microwavable dish. 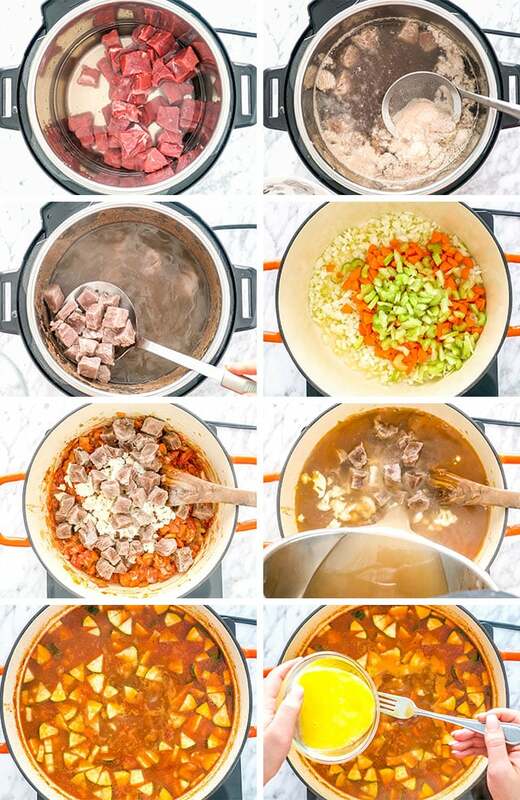 Cook the beef: Add the beef and water to a large pot. Bring to a boil over medium high heat. Once the broth starts to boil, remove all the impurities from the top. If you don't, you'll get a cloudy dark soup, instead of a nice clear broth. Reduce to a simmer, cover the pot and cook for about 1 1/2 to 2 hours. You need to cook this until the beef is tender. Once the beef is done remove it from the broth, keep the broth. Saute veggies: In a large Dutch oven, heat the olive oil over medium high heat. Add the onion, carrots, celery and saute until tender, about 5 minutes. Season with salt and pepper. Stir in the tomato paste and the diced tomatoes. Add the beef bouillon or vegeta. Add beef, cauliflower and simmer: Add the cauliflower and cooked beef to the pot. Add the beef broth (from cooking the beef) and stir. Bring to a boil, then turn down the heat to a simmer and cook for about 30 minutes. Add Zucchini, lemon juice and cook for 10 more minutes: Stir in the zucchini and lemon juice. Cook for another 10 minutes or until the zucchini is tender. Add egg: Pour the egg mixture into the soup and quickly stir. You will notice the soup thickening up a bit, the egg will cook instantly. Garnish and serve: Garnish with parsley and serve with sour cream and pickled hot peppers. If you watch the video, you'll notice I cooked my beef in an instant pot to speed up the cooking process. If you have an instant pot, cook it for 20 minutes on the meat or manual setting. Awesome! My 81 year old dad made this for me last weekend. I can’t wait to make it myself. My fiancé is Romanian and your blog is one of the only places I can find Romanian recipes in English. Everything I’ve made has been wonderful. Thanks so much for all you post ? My pleasure, glad you’re enjoying my recipes! Just returned from Romania and had this soup about 10-15 times. It is delicious! But it is soup, very thin and nothing in it perceived as “pasta”like. I’m going to give it a try as it was soooo good. Always served with bread and a long green chili! I love the sour soups. Instead of lemon juice you can use ” borsh” that you can find in any Romanian grocery store either in the liquid form or powder. 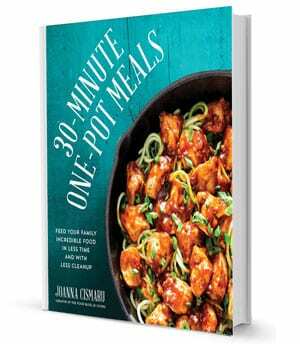 Have you tried using a crock pot to make this? This recipe seems like it might be just the thing to cook in a crock pot. Any suggestions on how to do it? Maybe a two day process (I know kind of defeats the idea of a crock pot), crock pot “boil” the beef on day one (I would bet the broth really flavors up overnight) and then finish it off the next day. This is the kind of “rustic” soup I like to make. I haven’t but you’re right, this would be perfect for the crockpot. Honestly I’d just put all the ingredients in there and let it cook slowly for about 8 hours, that should be enough to get the beef tender. Thanks Jo, about what I figured. I know it in some ways defeats the purpose of a crock pot but I like to brown my meat and saute the veg before putting in. It adds a “not made in the crock pot” flavor and with a traditional recipe like this I think it deserves the extra steps. 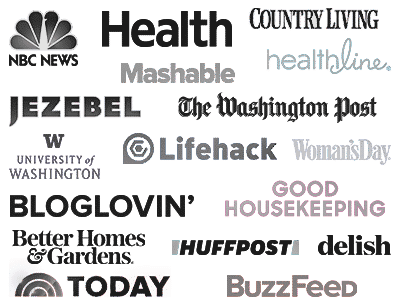 BTW I subscribe to your regular emails (using a different email address) and I have your cookbook on pre-order at Amazon. I am a bit old to be a “fanboy” but I am an old codger and do appreciate a good cook. Thank you for another nice soup. Yummy! I love soups year around, especially the ones that keep me full. It is very good with beef short ribs. It won’t affect the taste of the soup, the eggs are mainly to add thickness to the soup and to add that pasta texture, so it should be fine if you don’t use them. I did 🙂 turned out just how I remembered it!! I’m wondering how much water to start with to boil the beef? Thanks! I used 4 cups, but use whatever is necessary to fill the pot to the top to completely cover the meat.